Jorge Camiña joined Allianz Global Investors in June 2016 as Director within the Infrastructure Debt team based in New York. 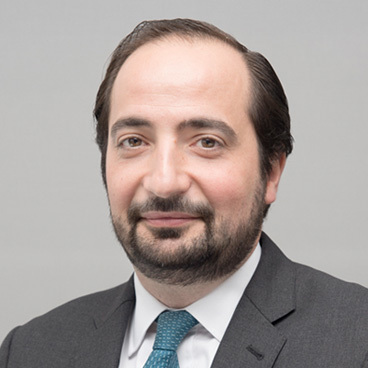 Prior to joining, Jorge was Head of the Project & Acquisition Finance Group for Santander Global Corporate Banking in New York, leading a team responsible for the origination and structuring of non-recourse financing in North America, with a particular focus on infrastructure and energy in the US and Canadian markets. Jorge joined Santander in 2005 and held several positions and responsibilities at the Non-Recourse Financing Credit Group in Madrid and with the Corporate Syndicate Loans group in New York. His background includes experience across different geographies, having worked on Latin American, US and European transactions, and segments ranging from Corporate Loans to Project Finance and Leverage Buyouts. Prior to joining Santander he was with Banco Bilbao Vizcaya Argentaria at the M&A Advisory Group in Madrid. He initiated his career with Arthur Andersen and before that with ABN Amro Bank. Mr Camiña received a BS from Deusto Business School, Bilbao, with specialisation in Finance. No Insights found. Please try again.